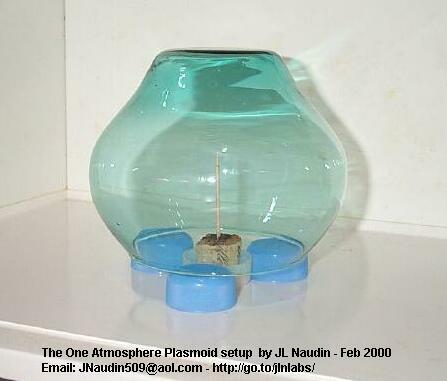 Some various shapes of glass vessels have been also tested, such as a cylindrical and an hemispherical shape. 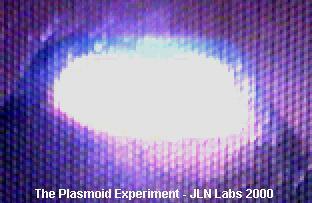 With these shapes, the plasmoid was erratic and unable to remain stable. The best shape is a kind of spherical vessel with the toothpick placed in its ( see the picture below ). 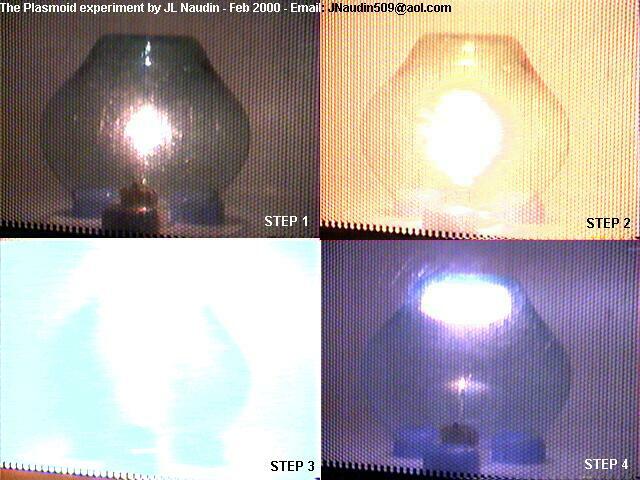 1) When the microwave oven is switched on, some brillant and white flashes are sent silently by the burning charcoal during about 5 seconds ( STEP 1). so check it after a short test run and let it cool a bit. Conduct all your tests in a well ventiled area. 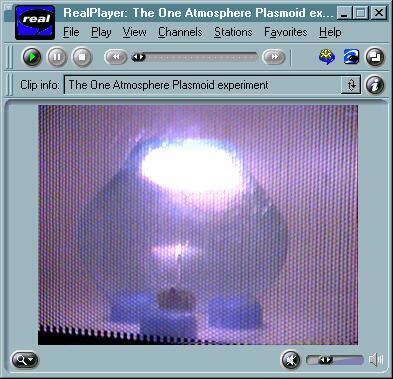 A sound analysis of the plasmoid "humming" noise has shown that its frequency is about 150 Hz. for a 85 mm, 95 mm, 135 mm and 140 mm spherical vessel. The blue curve is the ambiant sound analysis without the plasmoid running. 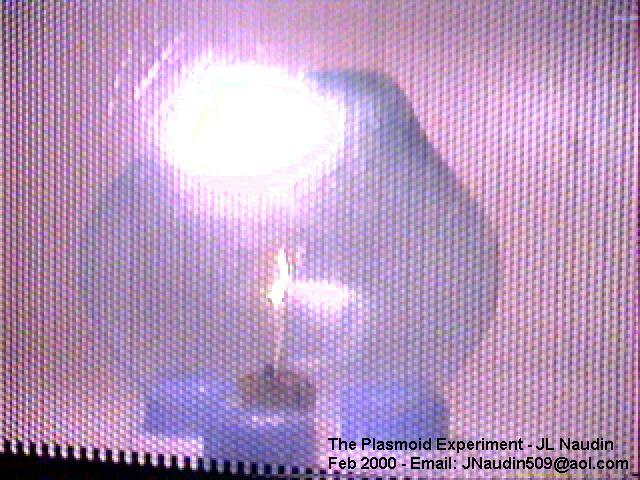 Visit the Plasmoids pictures gallery..
Disclaimer: The author assumes no liability for any incidental, consequential or other liability from the use of this information. All risks and damages, incidental or otherwise, arising from the use or misuse of the information contained herein are entirely the responsibility of the user. 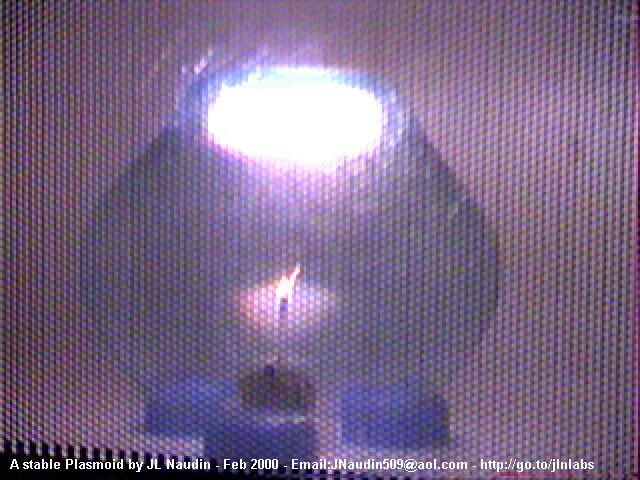 Although careful precaution has been taken in the preparation of this material, we assume no responsibility for omissions or errors.